Steph Curry opened up Monday night’s road game in San Antonio freezing cold, by his standards. He missed seven of his first eight shots, including all four of his three-point attempts. He blew a point-blank layup, and had another slapped off the glass, and bricked a wide open three from the top of the arc. 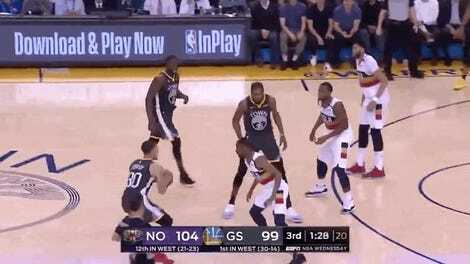 There are plenty of NBA players who would respond to that kind of start, on the road against a good team, by being a bit more conservative in their shot selection, and trying to force their way to the line. 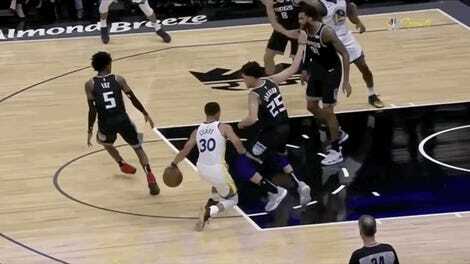 Something to appreciate about the Spurs is the fact that they don’t resort to desperate three-chucking when they face the Warriors, the way many other NBA teams do, reasoning that they’ll need an uncommonly hot shooting performance to give themselves a chance. 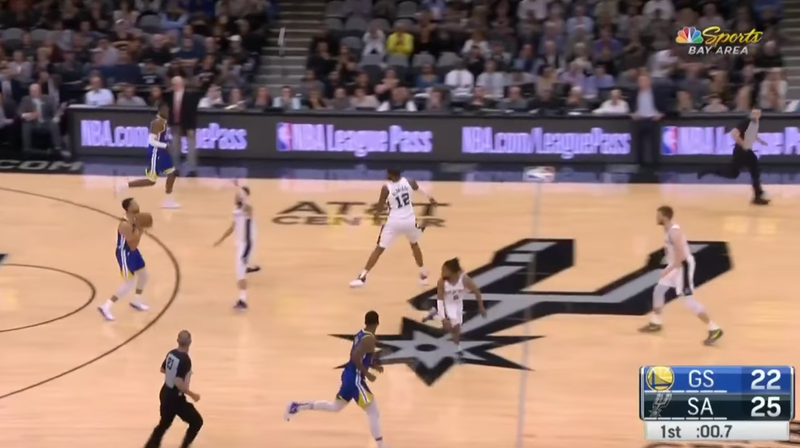 The Spurs just resolutely stick to their plodding, mid-range-heavy and post-heavy style, based either on the belief that something about it positions them especially well to counter the Warriors, or on the theory that a victory taken from unsustainable shooting is worthless against a team they’ll likely need to face in the playoffs if they want any chance at a title, or some other smart and self-respecting philosophy. They’ve got the early lead on the Warriors, and every minute they spend playing coherent, competitive basketball in this matchup is a welcome reminder that even in the analytics era there is plenty of room for vastly different styles of basketball. Something to appreciate about the Warriors, though, is that Steph Curry needs nothing even like a good or coherent or deeply-held basketball philosophy in order to burn your damn house down. When all else fails, he’ll just casually toss in a damn 60-footer.